As was expected by several Webster University : London students earlier this year, a report released by the U.S. Department of Education in June 2015 confirmed that all federal student aid has been indefinitely suspended to that campus due to a long history of foul play on the part of Webster University : St. Louis (parent campus). Update 7/3/2015: Webster’s student-run newspaper, The Journal, has once again copied our story (and Scribd docs) without crediting CollegeTimes, continuing to function in more of a manipulative PR role than a voice for students. The Journal and St. Louis-based Post-Dispatch both published peculiarly favorable coverage of our March 2015 exclusive investigation into fraud and corruption at Webster’s Thailand campus as well. The focus of the review was Webster’s compliance with federal requirements, speciﬁcally in regards to its arrangements and agreements with foreign institutions that are not Title IV _eligible. The review Consisted of an examination of Webster’s agreements with foreign institutions that are not Title IV eligible, and disbursement records for students who enrolled in programs provided by the ineligible institutions. A program review report was issued September 11, 2014. The report’s publication comes on the heels of exclusive CollegeTimes investigations into massive fraud and corruption being carried out at Webster campuses in Thailand and London that received widespread attention across the web. 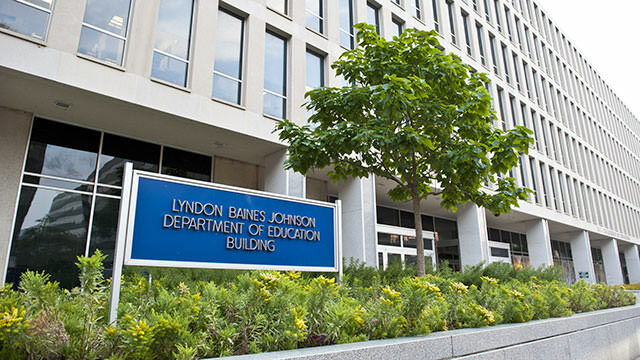 Interestingly, the report confirms that the DOE notified Webster in writing on July 18, 2014 “to immediately cease from awarding any Title IV, HEA program funds to students enrolled in programs administered through the Agreement with Regent’s [University London].” Such a timeline supports controversial claims by Webster London students who claim they were the victims of fraud during the Fall 2014 recruitment period, alleging that Webster purposefully hid the fact that all federal aid had been canceled as they continued to recruit dozens of new students to the London campus. Let Off With Just A Slap On The Wrist? During the review, the Department was also informed that Webster has entered into agreements with Chinese institutions that implicate the same issue as the Agreement with Regent’s, although responsibilities attendant to Title IV, HEA program funding do not appear to be referenced in these contracts. Required Action Summary: Webster was directed to demonstrate that it put in place controls to ensure that no Webster students enrolled in programs administered through the agreements with Chinese institutions receive Title IV, HEA program funding. In addition, despite the report acknowledging that Webster’s illegal relationship with Regent’s had been in existence since 1994, with the contract being renewed both in 2006 and again in 2012, the DOE team apparently decided to only hold Webster accountable for student aid funds disbursed post-2012 for unspecified reasons (the report’s wording is so vague, in fact, that an exact timeline is hard to distinguish). The Regent’s campus has been aggressively trying to achieve its own Title IV recognition by the U.S. Department of Education in order to accept more American study-abroad students, which it recently was able to accomplish with the notable exception of the American College section it runs alongside Webster University. The two schools announced earlier in 2015 that they would be severing their relationship, and that the Webster-Regents program would be cancelled before the end of 2016. Author’s Note: Webster University appears to have successfully siphoned millions of dollars of U.S. taxpayer money into their pockets by committing over 20+ years of fraud at their London campus. Ultimately, it would seem this case once again proves that it’s definitely “worth it” for American colleges (both non-profit and for-profit) to commit fraud; from a business standpoint, the risk of legitimate consequences is so minute and the U.S. DOE and DOJ appear so unwilling to get involved that rampant fraud and corruption rages forward across the landscape of American higher education. I can’t believe how some institutions can take advantage of something that is necessary for many students to even attend an institution like this in the first place. It really ruins it for everyone else.